Hi! 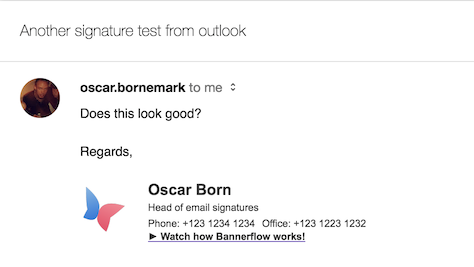 I'm having an issue with my email signature I'm sending from Outlook 2016, PC. 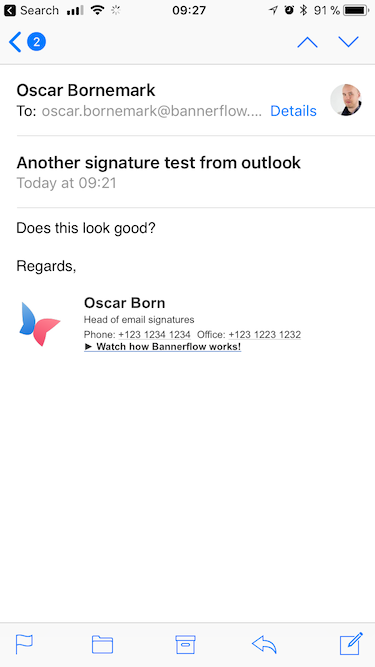 It looks good in all my tests, with the exception of the Google Inbox app on iPhone. As you can see the vertical height of the individual rows are way off in the Inbox app, compared to the other clients. Why is this? 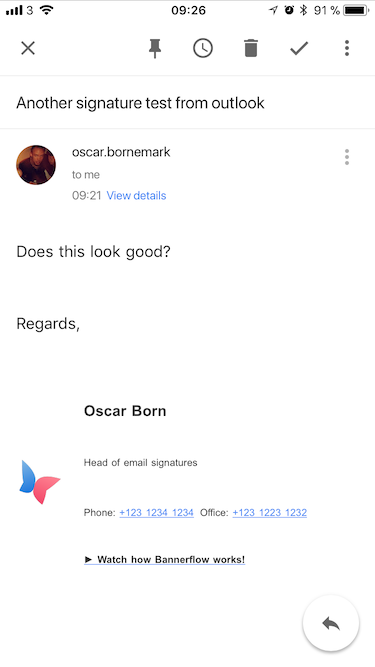 The code for the signature can be found here. I've installed the signature by altering the signature HTML file in %APPDATA%\Roaming\Microsoft\Signatures.